HANOVER TOWNSHIP — The Hanover Township Police Department maintains a prescription return box in the lobby of the police station. This box is accessible 24 hours a day 7 days a week. 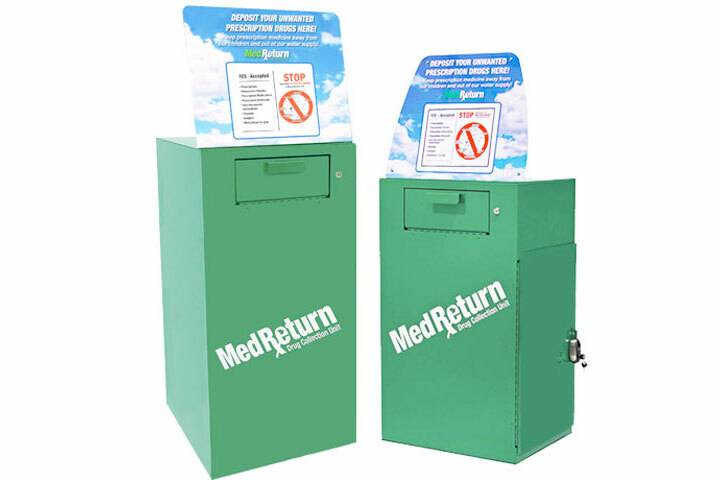 Residents with expired or unwanted prescription and non-prescription medication can bring these items to the Police Lobby, located at 1000 Route 10, Whippany, and deposit the items in the green Med-Return box. You can also dispose of unwanted pet medications here as well. If you want to dispose of your medications we ask that you deposit only one or two items at a time, because the chute will clog if you overfill the drawer. Also, if you discover that the bin may be full, we ask that you do not overfill it and please bring it to the attention of the police dispatcher so arrangements can be made to have it emptied. No aerosol cans or inhalers.